I’ve always held a soft spot for winter. While I’m not necessarily a fan of cold weather, I do love the natural magic that snow provides. Waking up on Christmas morning to find my backyard frosted overnight, covered in white as if a giant sifter had dusted the earth with mountains of powdered sugar – it sets the scene perfectly for the holidays. No matter how you feel about the cold weather (of if you live in a place that’s warm year round), the season itself is about more than just the snow. It’s a time when friends and family come together to celebrate people they care for, whether that’s done by sharing a home-cooked meal or by exchanging gifts over cups of hot cider near a crackling fire. To help you get ready for the festive season ahead, we’ve asked our designers to make up some new, cozy and innovative designs. 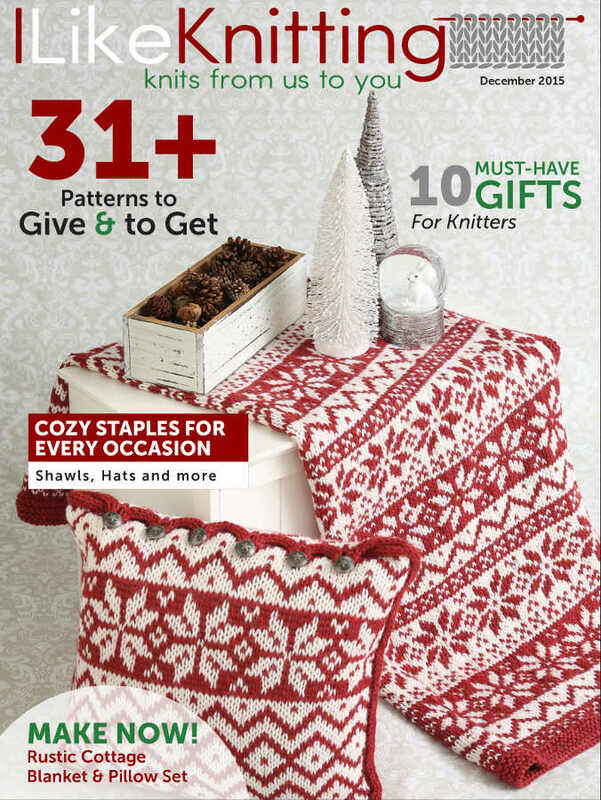 Starting with the intriguing Starry Mountains Afghan featured on the cover of this magazine, you’ll discover all types of patterns you’ll be itching to make – from incredible hats to delicate shawls. 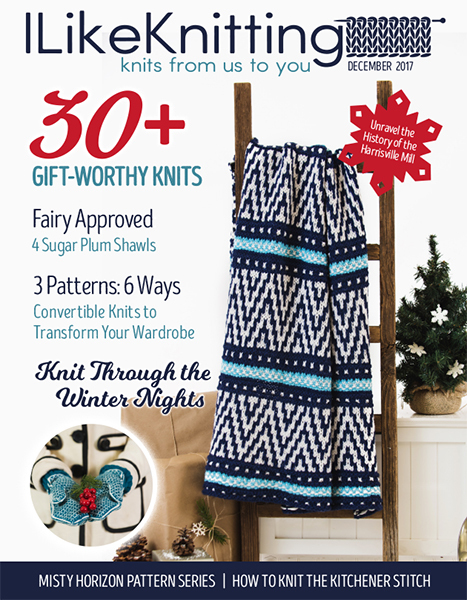 Plus, don’t miss my personal favorite, the Nordic Night Pullover. Inspired by the colors of a starry night, this incredibly toasty piece mixes blue and white to create a stunning piece you’ll love to wear all season long. P.S. Do you love Ravelry? 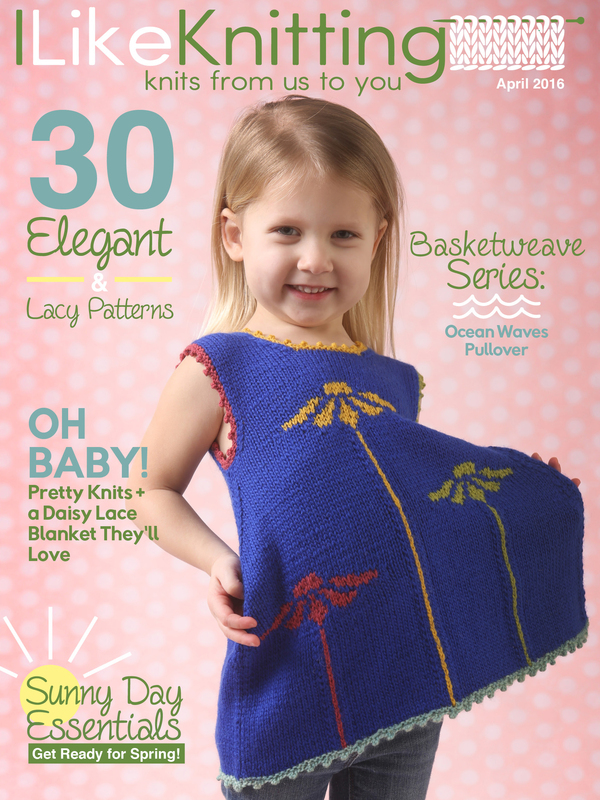 Do you love to knit? Then join our official Ravelry group for knitters. In this group, we’ll discuss everything from our favorite needles to upcoming knit alongs. Join right here!